Futuristic Design. 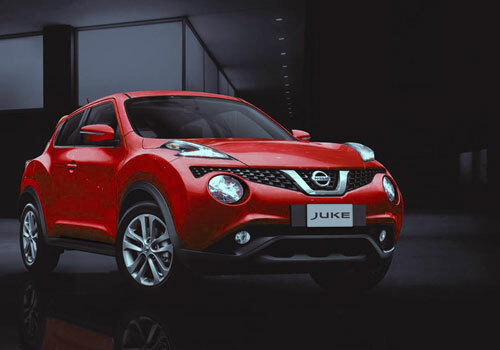 The New Nissan Juke isn't just a crossover – it's a Sport Cross. With aggressive taillights, a fiercely sculpted hood, and muscular lines, it's anything but ordinary. New Headlights. New Nissan Juke serves up a stylish first impression with its new signature standard projector headlights with auto-levelizer. Integrated Taillights. 370Z-inspired taillights are a sweet send-off to those you pass by. 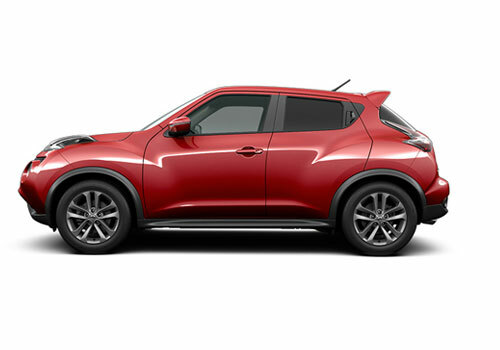 Integrated into the sporty body plan, they flow seamlessly into the New Nissan Juke's muscular lines. Rear Spoiler. Get a grip with the sporty rear spoiler. By increasing downforce, you get better traction on the road, allowing you to power through confidently. Front Cover and Front Underbody Protection. Power over bumps or potholes and tackle steep driveways without fear of bottoming out, thanks to New Nissan Juke's front cover and underbody protection. Rear Bumper. New Nissan Juke’s impressive new styling cues stem from front to back. The rear bumper adds an attractive touch, while maintaining a functional use. Invisible Rear Door Handle. Unexpected details like the placement of the rear door handles high up in the doorframe create the look of a two-door coupe. ABS. When you have to stop suddenly, the Anti-lock Braking System pumps the brakes faster than you possibly can, helping to prevent wheel lockup so you can maintain steering control. EBD. Should you ever need to hit the brakes hard with passengers or cargo in the back, EBD will detect the added weight, and send extra force to the rear brakes. Rearview Monitor & Rear Parking Sensor. Parallel park or reverse with confidence. Need to squeeze into a tight parking spot? New Nissan Juke’s available RearView Monitor helps you see what’s directly behind you. Using sonar, back sensors alert you when your vehicle is within three feet of another object. HR15DE Engine. 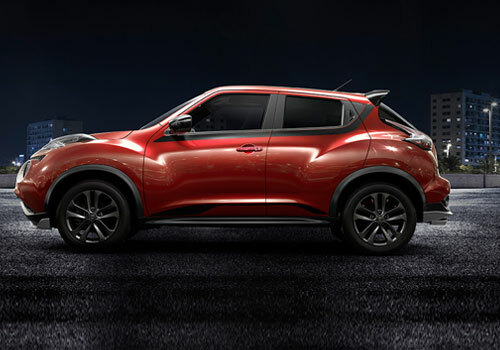 New Nissan Juke agile performance powered by HR15DE engine with the refined new generation dual injectors of to increase the torque in low speed and powerful acceleration at high speed without sacrificing fuel efficiency. 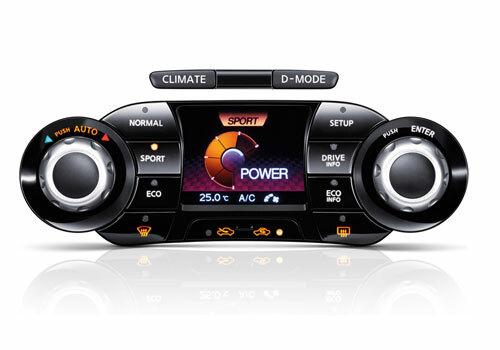 XTRONIC CVT. Smooth as butter and fun to drive. Unlike traditional automatic transmissions, New Nissan Juke’s CVT transmission eliminates the need for gear-hunting and delivers a seamless wave of power. In case you miss the feeling of gears, you can engage Sport mode and bring it right back. Eco Mode : When it’s time to steady your pace, hit the Eco mode button to get the most out of every fill-up. Sport Mode : In Sport mode, you'll immediately feel the steering, transmission (Xtronic CVT only), and throttle response adjust for more responsive driving. Nissan Dynamic Control System. 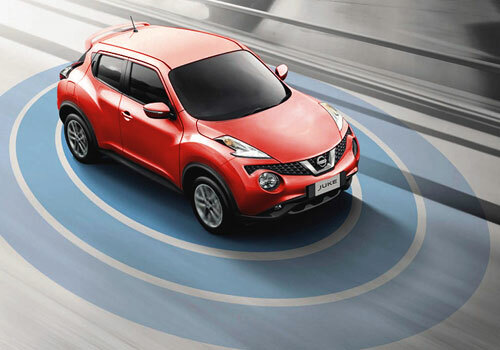 New Nissan Juke’s available I-CON system lets you change up your ride with the push of a button. Whatever mood you’re in, New Nissan Juke has a mode for it. You can custom-tailor your drive, adjust the climate, and keep stats on your performance, all while you’re out and about. Climate Mode. 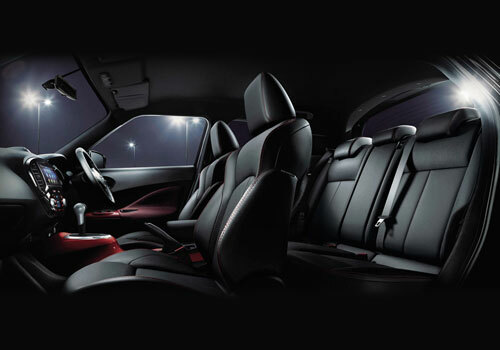 In addition to ride style, the I-CON system lets you control interior comfort. Simply switch to the Climate interface, and the display changes over to all the selections you need to make the cabin as toasty or cool as you like. Sporty Driving. In the New Nissan Juke, you will find an environment tailored specifically for sporty driving, but with a mind to your comfort as well. Cargo Area. The increased roominess inside New Nissan Juke is quite surprising, and much welcomed. Contributing to its space and flexibility is the under-floor storage, allowing for extra space that is out of sight. With the second-row seats up, there is plenty of space in back for large luggage. Fold the seats down and you can create a flat cargo floor. Stylish and Sporty Centre Console. Ready to ride? 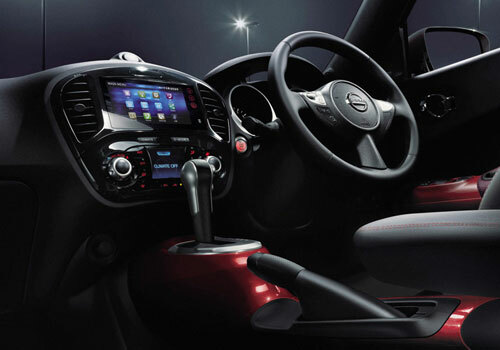 Inside New Nissan Juke, you'll find a pulse-raising centre console inspired by the radical lines of an Italian sport bike.